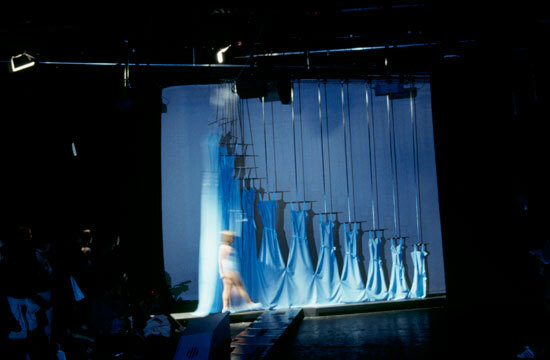 Growing Young is a performance piece where a little girl closes a curtain which consists of many dresses made from a single piece. 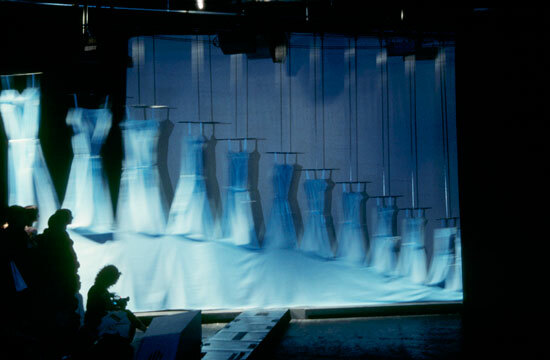 As the girl pulls the 'dress-curtain' it becomes noticeable that the dresses grow smaller towards the end. These dresses by meter suggest that going backwards mentally or physically is not always to be regarded as negative for one sometimes finds that things fit into place.